There are established dates in the London calendar that deserve their long-running status. 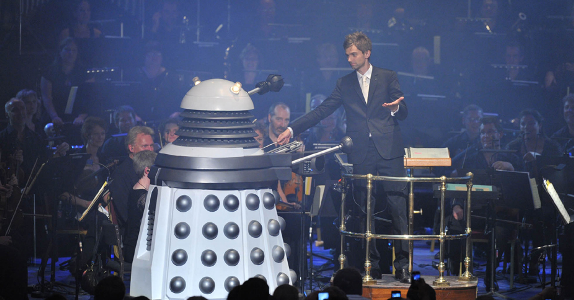 Cricket at Lord’s, the Harrod’s sale, and the greatest classical music festival in the world – The BBC Proms. Every year the Royal Albert Hall hosts the finest orchestras and soloists from around the world and for eight weeks thousands of Londoners have access to outstanding music. When the Proms began in 1895 the audience would stroll or ‘promenade’ around: eating, drinking, smoking, having a chat. This has changed somewhat, smoking, eating and sometimes even coughing are frowned upon but you can still ‘Prom’ at the Proms, if you are prepared to put in some serious queuing time. Diehard prommers think nothing of queuing for eight or nine hours to get a coveted position at the front rail of the ground floor arena. The performers are within touching distance here and tickets for the arena or the gallery are only £5. Prommers will tell you that the atmosphere is closest to the democratic roots of a festival and would much rather stand for hours than buy a seated ticket. There is little stuffiness here but much British quirkiness – prommers have their own code of conduct. Queuing (don’t even think of bagging a place with your jumper and going off for a coffee) is as much a part of the experience as the actual gig. Once inside be prepared for ritualistic shouts, which are often as well orchestrated as anything taking place on-stage. When a piano is being moved the arena will shout “heave” whilst those on the gallery finish off with “ho”. Musicians tuning up are rewarded with rapturous applause whilst foreign orchestras can expect to be warmly welcomed in the their mother tongue. The grandeur of the Albert Hall contrasts with a wonderfully informal atmosphere, there is no formal dress, though the corporate boxes still bubble with champagne. 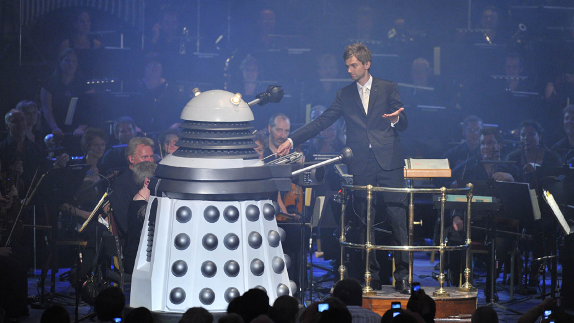 The Doctor Who Prom last week (which outsold a prom featuring Placido Domingo) had a tardis and daleks on stage – and many tweed jackets and bowties in the audience. I have attended one prom already (seated, Beethoven) but will be queuing up for John Wilson’s Rodgers and Hammerstein extravaganza. Last year I watched his MGM Prom on television, when his orchestra launched into Singin’ In The Rain the prommers were twirling their umbrellas, this year I am going to join their ranks – so will be packing a rucksack with gin and tonic and sandwiches and taking part in this great British tradition.